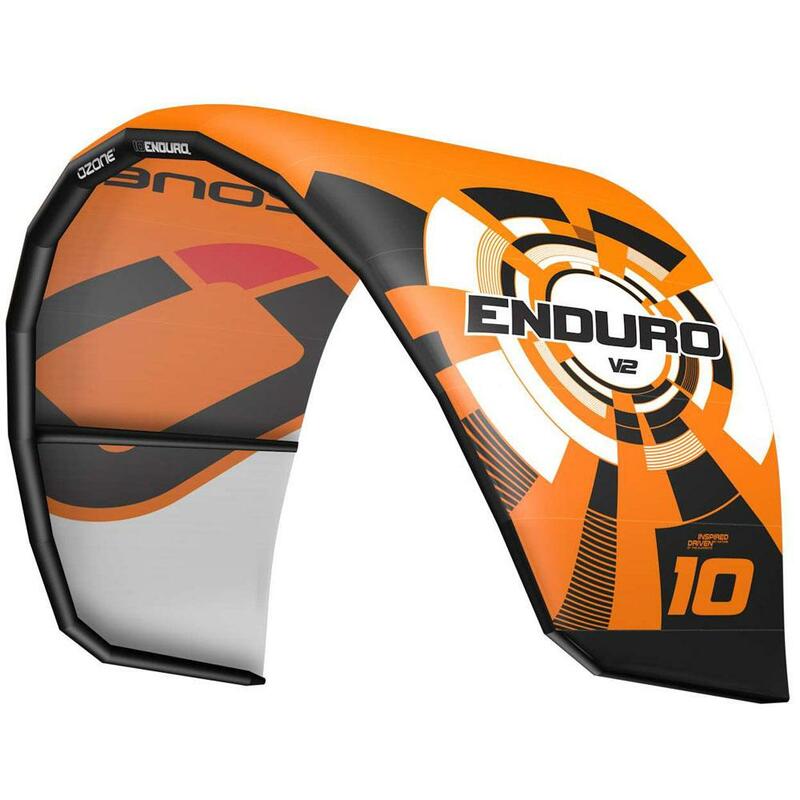 The Ozone Enduro V2 is a user friendly kite, allowing all levels to push the limits in any aspect of the sport. If you are looking to take on all apects of riding, the Enduro V2 from Ozone will not let you down. 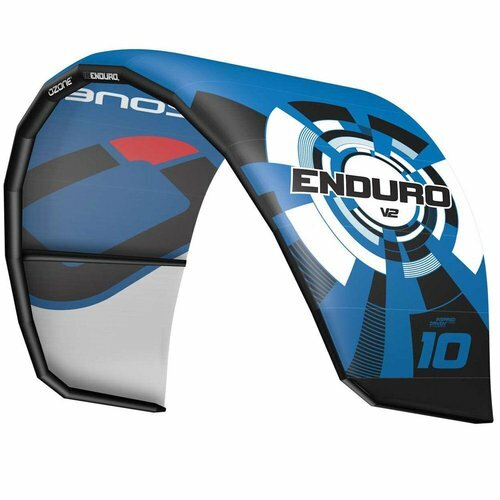 The Enduro V2 is a mid aspect ratio kite combined with our market leading three stage Variable Bridle Geometry offering outstanding performance across the whole range of disciplines - freeriding, freestyle and wave riding. It incorporates an Open-C shape, semi swept Leading Edge and square wing-tip design, which results in a large de-power range, amazing progressive handling, boost for jumping and drift in the waves. The V2 design features our new strut construction that provides enhanced support to the canopy and improves stability at low angles of attack, also a curve has been added to the struts for an all round smoother and faster flying kite. The Leading Edge is now tapered at the tip, which helps to reduce tip bounce. Together, the result is a much smoother ride and a more solid bar feeling in strong and gusty conditions. Over all the V2 improvments show a more refined power delivery, more stability in the edge of the window and smoother turning. 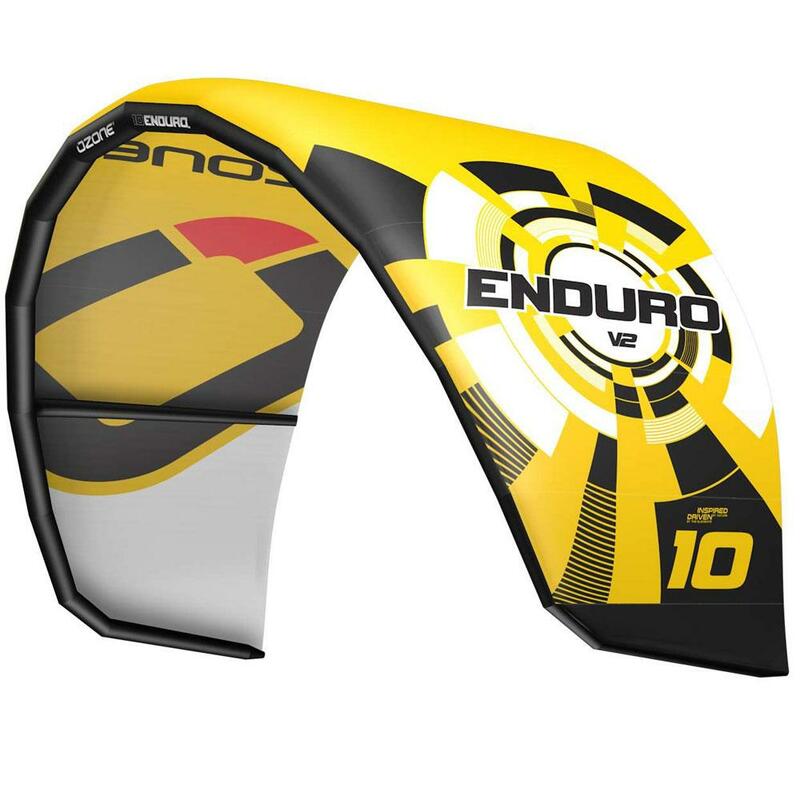 The Enduro V2 is for those riders that take on all condtions and all apects of the sport. 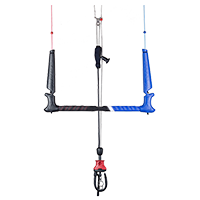 With its easy changable bridale set up, you can tune your kite to your liking, from wave riding, freeride and freestyle set up. 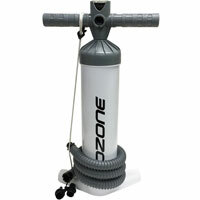 Ozone Enduro V2 - You Define The Limit from Ozone Kites on Vimeo.